Discover the Joy of Language! 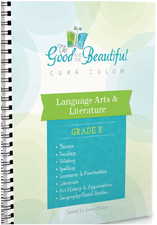 We are thrilled to share The Good & Beautiful curriculum with you and we are so grateful to Jenny Phillips for making this available to homeschool families! The Family Readers (The McComber Readers): Another excellent reading program is the McComber Reading Program. This is a phonetic based LEARN TO READ program for beginning or struggling readers of all ages. This program combines phonics and sight words to cover all aspects of the English language. This enjoyable, easy to use program includes 52 readers paired with 52 writing activity booklets and a Teaching Guide. The 52 readers introduce step-by-step basic skills for learning to read and write the English language. The writing booklets reinforce reading concepts and enhance writing and spelling skills. The Teaching Guide provides easy to use instructions and ideas to ensure success. The McComber Reading Program makes learning to read fun and successful for all involved. The Ultimate Guide to Free Graded Reader eBooks: McGuffey, Elson and MORE! This website is a real treasure! 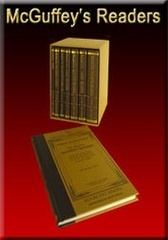 An online collection of 24 graded reader series including over 200 books. Treasures from the past have been dusted off and placed on more electronic shelves. Click here to discover this treasure.